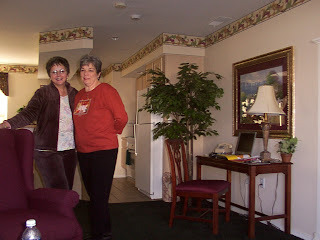 Today for Wednesdays Walk Down Memory Lane I am sharing some memories of times spent with my special friend Toni and her husband Max, who used to live here in town, but moved to Arizona 20 years ago. We have all been friends for 30 years. Toni is in town right now visiting and we got to spend some time together on Tuesday. So I am sharing some pictures and memories from the past and a story of our day out together on Tuesday. If you would like to join in today's memory walk just click on the button below. 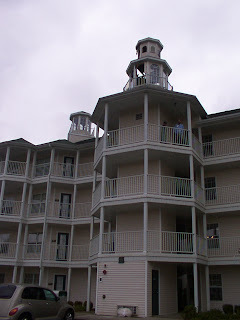 This is the resort we stayed at. When we came back from dinner and a show our building was on fire at the top of this cupola. We were on the ground floor but they wouldn't let us back into our rooms until the wee hours of the morning when they were sure it was safe. Morning coffee together before a day of play! On Tuesday I spent the day with my special friend Toni. She used to live here in our town, but 20 years ago she moved away to Arizona. Over the years she has come back this way many times to visit her sister, and brother-in-law who still live in our town, and also her mom, before she passed away. This has made it possible for us to keep our friendship going and growing throughout the years, because we always have kept in touch. We have gone to Arizona a couple of times to stay with them and we even got to go to Sedona for a few days, and it was so beautiful there. We go in the winter time when it is freezing cold here and they are having 70 and 80 degree days there! It is a nice change from the ice storms of Kansas. Special friendships take cultivation and care. Toni is a very caring person and before the days of email she would call me, send cards, and lettters too, to let me know what was going on with her, and her husband, and their two daughters. And I would do the same. 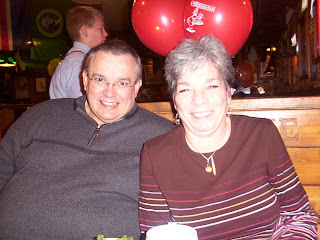 And, since our family has been friends since 1979 she feels more like an aunt to my kids, and me to hers. Our husbands are buddies too, so this makes it nice. When we first met each other, our husbands both worked for the same company, and we would all go to company parties and socials together. We shared dinners at each other's homes and often played dominos, board games, and cards together. We have shared special times like our daughter's weddings, and shared excitement over grandbabies. There is quite a difference there though, since I have been a grandma for 18 years, and I have had 14 grandkids, and she just became a grandma for the first time about a year and a half ago. Now she knows why I thought being a grandma was so wonderful all of these years, because she now has a little guy that is the light of her life! He calls her Tutu, isn't that cute? Over lunch she showed me some new pictures of her "little man", and he is really growing up since I saw him last. Babies sure don't stay babies very long do they? There was one picture of Tutu reading him a book, and it was so sweet. It brought back memories of all the special moments like that when I have read to my grandkids. Like I said, my oldest grandson is 18 now, so it has been a long time since I have read a book to him! (:>) But he used to have a favorite book at grandma's house that I would read over and over again. After lunch we drove around town so Toni could see how things are changing in her home town. Then we went through some model homes. (I love to look in model homes!) Toni and her husband want to move back here one day if they can talk their kids into moving out here too, so I thought it might be fun to just show her what kinds of houses they are building in our area now. We two couples take vacations together. 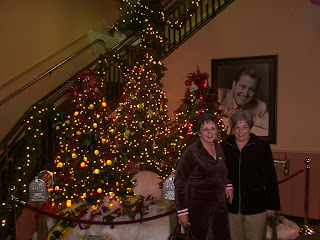 We have been to Branson, Missouri a couple of times, and we like to go to the music shows. 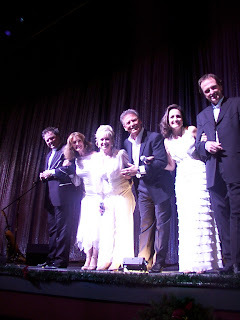 One year at Christmas time we went to see Larry Gatlin and the Gatlin Brothers who were doing a show with the Lennon Sisters. 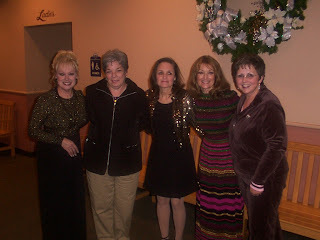 After the show we got to meet the Lennon sisters and we got their autographs. This was a special treat for us girls because we grew up watching Lawrence Welk and they were on his show. A lot of younger people wouldn't know who they are, but us old gals were excited! Last fall we went to Gatlinburg, Tennessee together for about a week and we saw some good music shows, and a lot of beautiful scenery. And then we went on to North Carolina and toured the Biltmore Estates. I had always wanted to go there, and it was even more than I had imagined. We were just a little too early for the fall foliage to be very vivid, but it was beautiful there just the same. This fall we are meeting Toni and her husband Max in Santa Fe, New Mexico. We always have fun no matter what we decide to do. None of us are as young as we used to be, so we move a little slower, but we are still able to enjoy each other and that is a blessing. Last year Toni had heart surgery and I am so glad that she came through it and is doing well. All my prayers for her were answered. I thank God for Toni. She is a very special friend. I just thought I would share her with you today. She goes home on Sunday, so we hope to see each other again on Friday. We talk about anything and everything when we are together, and it doesn't matter that we have lived so far apart for 20 years. Very few friendships last for a lifetime, but ours is going the distance! I enjoyed very much reading about your special friendship. That truly is a rare thing, and also a very beautiful thing. I'm glad you enjoyed your time together again. I hope you are having a good week! Precious post and great pics. Looks like you had a fantastic time with your very good friend! Aren't you so glad you had an opportunity to visit and play in Branson? I grew up listening to Lawrence Welk. My Mom loves him still...reruns. What's special about this is my husband always comments about the good times we have had with my mom while watching Mr. Welk. Toni sounds so wonderful! I'm glad you have such a good friend! Toni sounds like a great friend. It is great that you have kept in touch. I live in Arizona! Next time you come out to visit Toni, we should meet for coffee! Thanks for checking out my Gifted website. I have been working with gifted kids for quite awhile, and they are such a special population. They, and their parents, need lots of help! I love Branson, love Lamberts, love Lawrence Welk... I have some family that is headed to Branson next week for vacation... wish we could go too! What a special friendship the two of you have...and how special that you have been able to maintain it despite the miles between you! My best friend moved miles away...and we having been wanting to make a trip together to Branson - looks like so much fun!! I'm lovin' that special name Tutu!! Thanks for stopping by my blog (and very long post) this morning! Have a great Wednesday! What a dear friend! I think it is precious to have that kind of friendships that grow as we do. God uses those to really sharpen us as we grow closer to Him. Thanks for sharing your sweet memories. Isn't it great to have special friends? Lawrence Welk is well loved in our family, too. Yea for great friends! Thanks for sharing your special memories! What lovely memories, and what a lovely friendship!! I love it when we find those special people we can connect with and share our lives with. Thanks for posting my blog button, by the way - I feel very privileged! I enjoyed reading your Wednesdays Post. You are right - special friends take care and cultivating. Your pictures were fun to see, and I think it is wonderful that you have such a special friend. Enjoy your next visit with her! I'm so glad that you have such good friends like that! They are a real gift and hard to find. 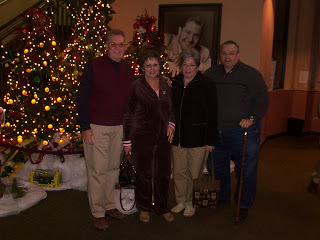 Your trip to Branson looked like a lot of fun! How wonderful to have such a good friend! 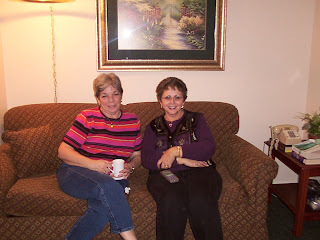 I loved reading about the times you have shared together and I always enjoy photos!! Girlfriends who feel like sisters are a special gift, indeed! It looks like your friendship with Toni is a wonderful gift. I love the pictures and the memories you shared about your dear friend. Blessings to you, Linda. Just wanted to stop by to thank you so much for the prayers and support for Bentley. We are so grateful for amazing bloggin' friends like you. Although we do not personally know each other, support is support and I hold that close to my heart!! Thank you so much!! This is so sweet! It is absolutely wonderful that to this day, you are still such great friends. All the things that you two have shared are so amazing! I want to thank you for stopping in on my blog. I have been trying so hard to get rest while I still can but it is really difficult knowing that there is so much I could be doing. Also, thank you for your prayers. I appreciate it so much! I love Branson! We got to spend part of our Christmas vacay there and it was so beautiful!! We want to go back! 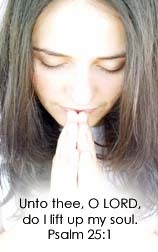 Thank you for your prayers, Linda!! 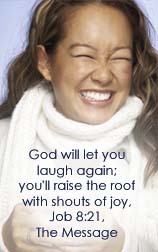 I know God is healing me already! I almost missed your sweet and very precious note...but I guess God knew that I would need it tonight!! Thank you so much...for being a friend! !